Attractions like Spiaggia Miami and Parco del Valentino make great kid-friendly stops. 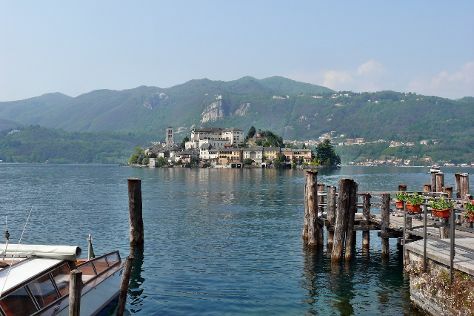 Step out of the city life by going to Breuil-Cervinia Ski Area and Lake Orta. Take a break from Turin with a short trip to Serravalle Designer Outlet in Serravalle Scrivia, about 1h 55 min away. There's much more to do: steep yourself in history at Basilica di Superga, admire all the interesting features of Juventus Stadium, take in the architecture and atmosphere at Duomo di San Giovanni Battista, and contemplate in the serene atmosphere at Duomo di Torino e Cappella della Sacra Sindone. For reviews, more things to do, and other tourist information, read our Turin trip itinerary planner . If you are flying in from France, the closest major airports are Malpensa International Airport, Turin Airport and Genoa Cristoforo Colombo Airport. In April, plan for daily highs up to 17°C, and evening lows to 9°C. Finish your sightseeing early on the 1st (Tue) to allow enough time to travel back home.